Neil J. Oxford is a partner in Hughes Hubbard & Reed’s Litigation department. His practice focuses on commercial litigation, international arbitration, internal investigations and compliance advisory work. 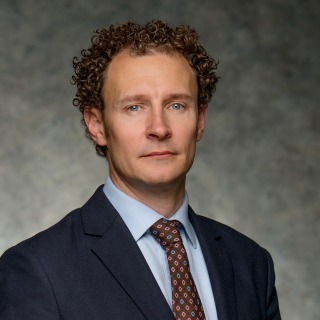 Originally from Scotland, Neil graduated from law schools at the University of Aberdeen and the University of Cambridge, and practiced law at a major firm in Scotland, before moving to Hughes Hubbard in 2001. He represents US and foreign clients in a broad range of civil litigation and regulatory matters, including commercial disputes, international arbitration and compliance issues. He advises clients in matters involving anti-corruption legislation, including the US Foreign Corrupt Practices Act (FCPA), international trade controls, securities and accounting investigations. Neil has significant experience in complex cross-border litigation, including representing the insolvency administrators for Nortel entities in Europe, the Middle East and Africa in a first of its kind cross-border trial over the allocation of over $7 billion, and representing the trustee for the liquidation of Lehman Brothers Inc. in defense of multi-billion dollar international claims. Neil also has extensive experience representing companies in the defense of complex mass tort litigation. Prior to joining Hughes Hubbard & Reed in 2001, Neil qualified as a solicitor in Scotland and practiced commercial litigation at Maclay Murray & Spens LLP in Glasgow.